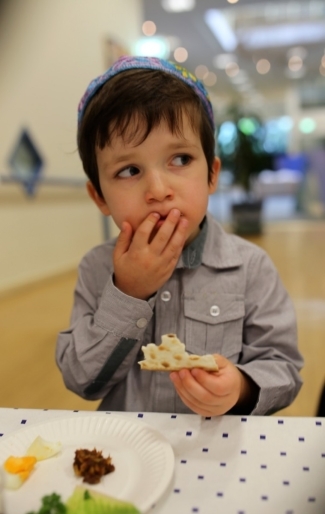 This week, I was invited to volunteer my help at Jake’s three-year-old kinder seder. 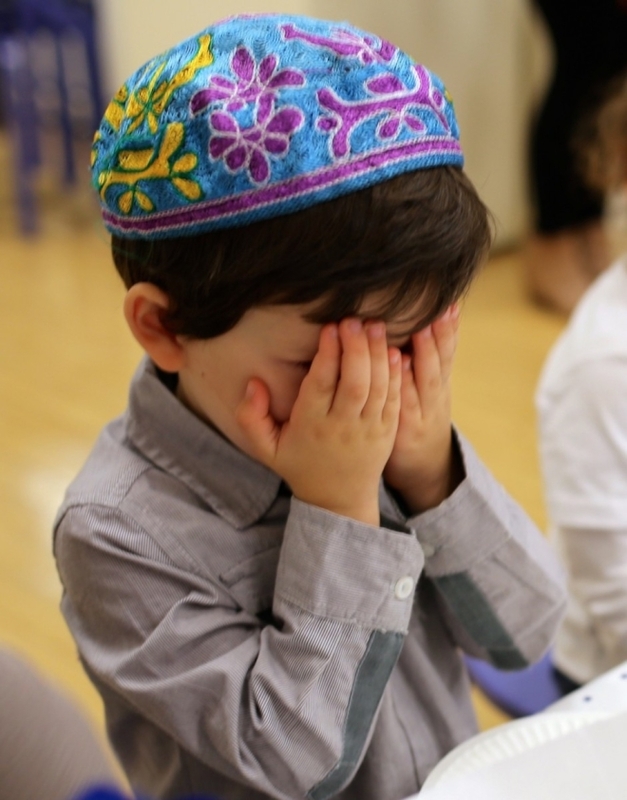 The festival of Peach (Passover) is coming up next week and Jake’s kinder class and teachers held a seder at school to celebrate the story of the Jewish people being freed from slavery in Egypt. 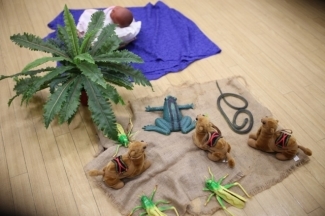 They put on a great show and the seder was accompanied by all the usual suspects – camels in the dessert, the ten plagues, baby Moshe asleep in the basket and of course the seder plate. 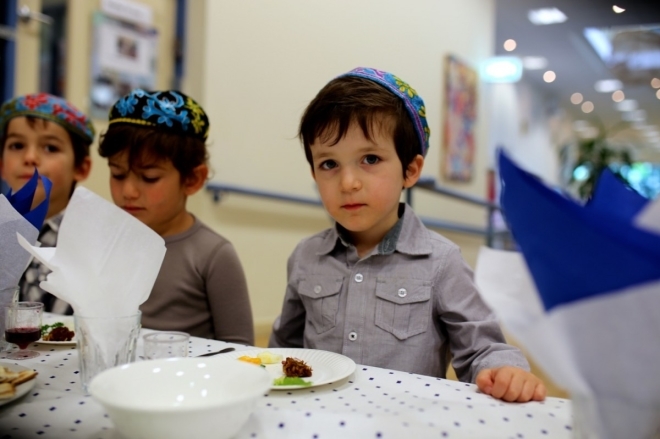 My little man was dressed up for the special occasion in his button shirt and blue yarmulke. And of course delicious chicken soup with matzo balls…. But for me, the most special part was just being there and enjoying this wonderful experience together with my little monkey. For so many months when I was an employee in the corporate world, I missed out on too many of these occasions. 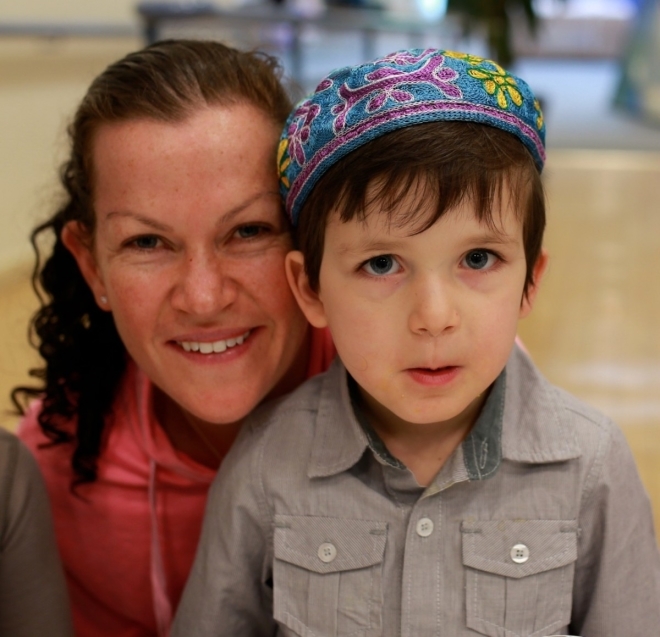 As I stood there on Friday watching him learn the story that has been told for hundreds of thousands of years to Jewish children all over the world, I was at my happiest. For all the money in the world and the status of climbing the corporate career ladder, there could be no greater richness than being there, with him, besides him, together with him. I am grateful for how privileged I am to really and truly experience these moments that make up the fleeting years of childhood.